Can drive safety in different road and traffic conditions. 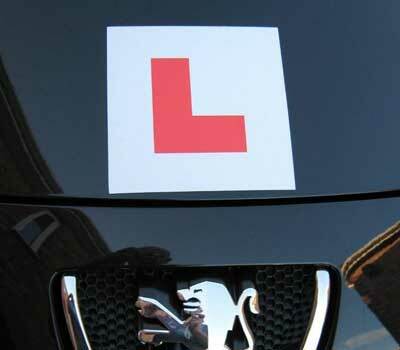 Documents: There are two documents you will need with you for your practical driving test. On arrival at the test centre you enter a waiting area. At the appointed time of your test the examiner will come and call your name, he will then check your documents ( listed above ) and ask you to lead him to your vehicle. He will also ask if you would like your instructor to accompany you on your test. ( Its up to you, your choice ). Once outside the test centre you will be asked to read a number plate out loud, this is your eyesight test. Next you will be asked one tell me question about the car, these are the safety checks. After which you will enter the car and complete your cockpit drill. The examiner will then run through what he requires you to do on your test. The test lasts approximately 40 minutes, and he will direct you around the route, during which you will be required to perform a manoeuvre, possibly an emergency stop, and a section of independent driving ( 4 out of 5 tests will require you to follow a satnav for 20 minutes, 1 out of 5 tests will require you to follow signs ). The manoeuvre’s he can choose from are: Parallel parking at the side of the road, reversing into a bay in a car park, driving forward into a bay in a car park and reversing out, and pulling over on the right hand side of the road, reversing back for 2 car lengths and then moving off to rejoin the traffic.You will also be asked one ‘show me’ question whilst on the move. At the end of the test the examiner tells you if you’ve passed or failed, and then he will give you a debrief on your test, your instructor can be present during the debrief. You are allowed 15 minor driving faults on your test, but no serious or dangerous faults.